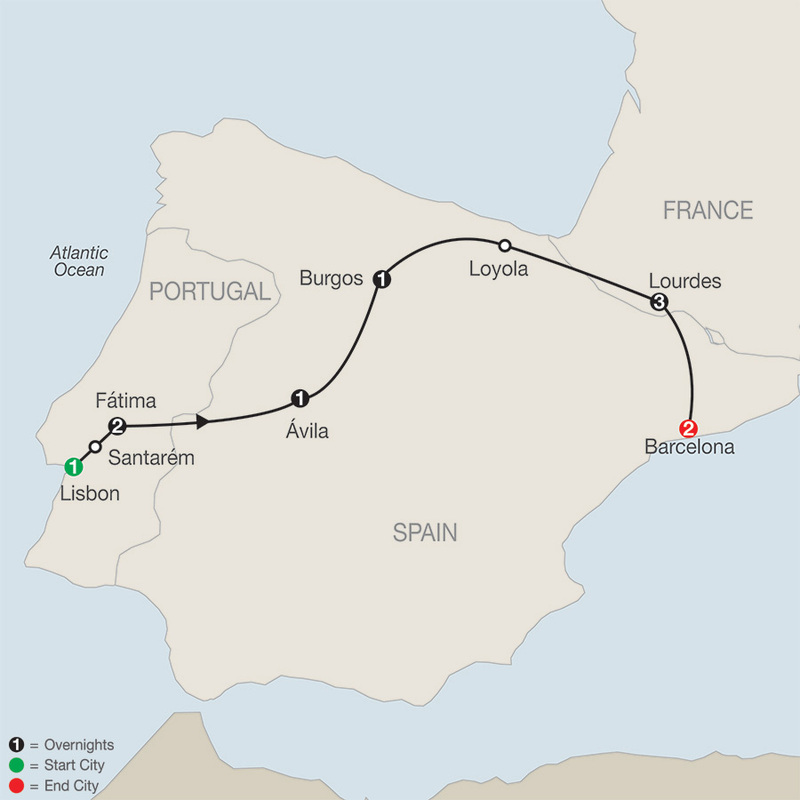 More than pages in a book or words in a prayer, be a part of religious history with a pilgrimage to France, Spain and Portugal that is so much more than a vacation. 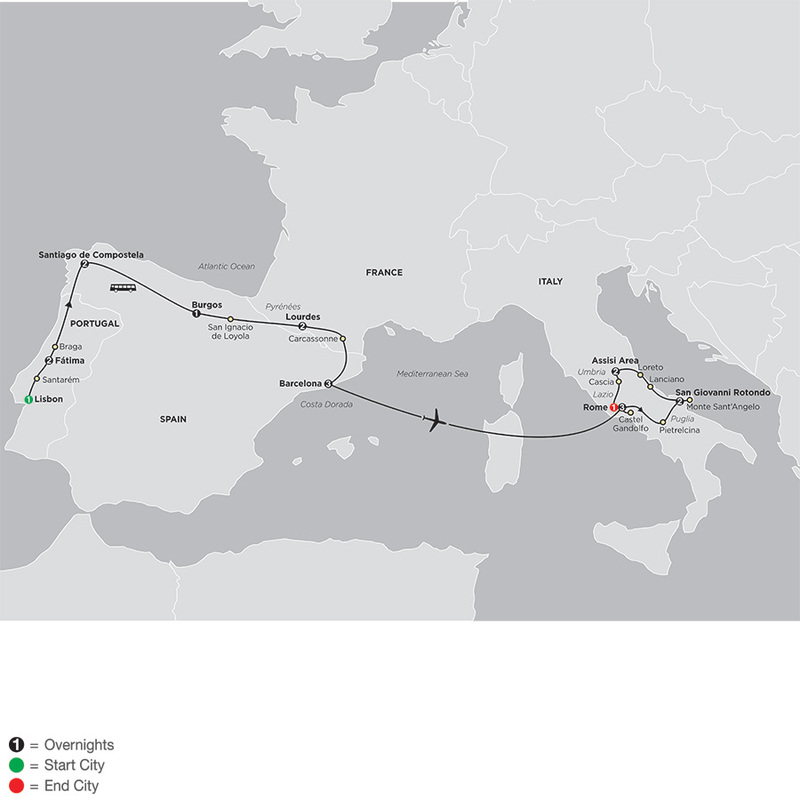 There's no better way to experience Europe's most treasured Catholic shrines than on these inspirational journeys through Spain, Portugal, and France. Whether it's standing in the very place where the Blessed Virgin Mary appeared to the three shepherd children over 100 years ago in Fatima, immersing yourself in the Healing Baths in Lourdes, or reflecting in Gaudi's magnificent Sagrada Familia, these vacations will inspire and leave you with memories of a lifetimes. 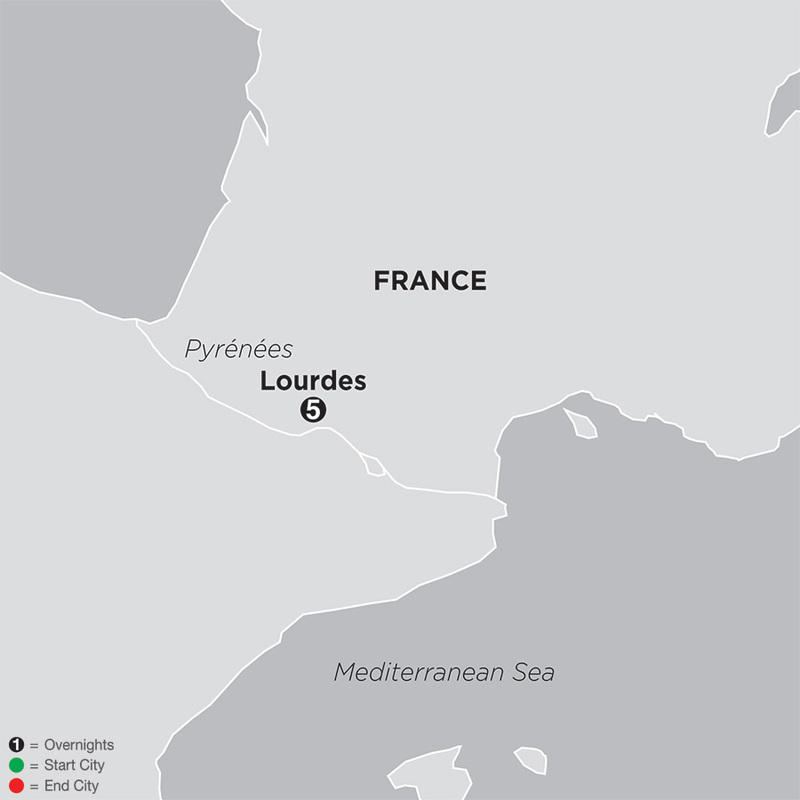 On this faith-based tour, spend five nights in Lourdes, one of the world’s most famous pilgrimage sites located in the foothills of the Pyrenees Mountains. Here, in 1858, a 14-year-old girl named Bernadette saw apparitions of the Virgin Mary 18 times. Today, pilgrims from all over the world flock to Lourdes for its spiritual powers. On this tour to Lourdes, you’ll learn about St. Bernadette. ...Read More. Reaffirm and celebrate your faith as you visit some of the world’s most treasured Marian shrines, pilgrimage sites and spiritual places. Hear about the shepherd children in Fatima and the apparition of the Blessed Virgin Mary which happened over 100 years ago. 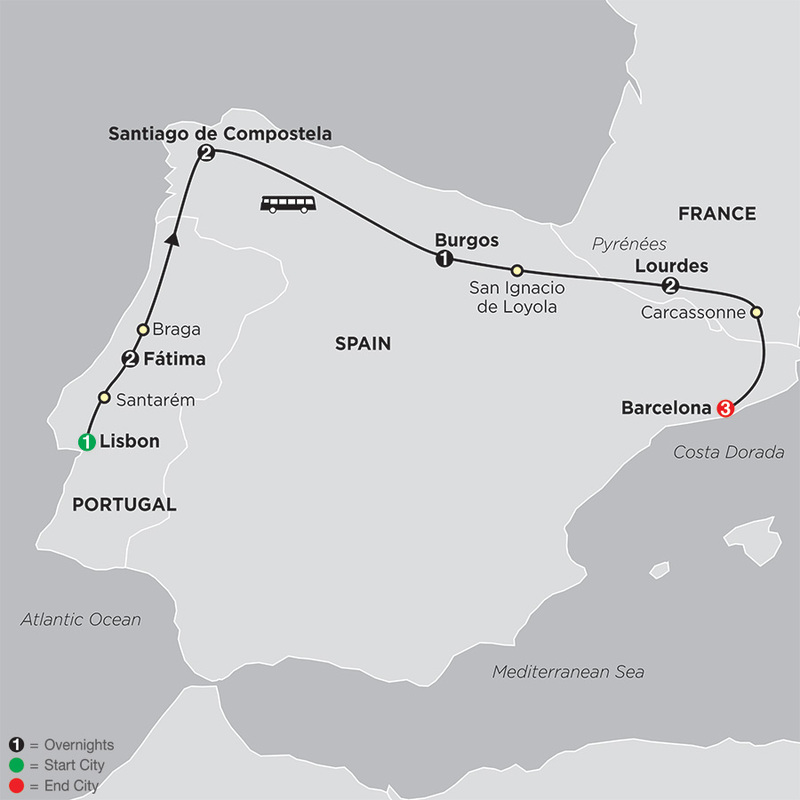 Walk a portion of the Camino de Santiago and learn about the remarkable journey taken by pilgrims from all over the world into Santiago de ...Read More.